One of the most important things we can do at the center is to teach the Word of God to our kids, and to guide them into experiencing Him themselves in a way that greatly impacts their life. At Starfish we regularly teach the Word using multimedia, arts and crafts, music, and personal testimony. We recently taught them Bible meditation using a method that we’re sharing today in this post. The reason we felt that Bible meditation is important to our kids is that it teaches them to be quiet before God, to listen to what He has to say, and to really think about Bible verses instead of just rushing through them. It’s very important to us that our kids experience a deep, legitimate connection with God, and that they aren’t just parroting things they’ve learned from us, but have really made a relationship with God their own. We designed a worksheet that we’re sharing with you that guides kids into meditation. Rather than covering a lot of scripture, we think it’s best to choose one verse and break it into parts for the kids to chew on. Here is an example of a scripture our kids recently meditated on. Feel free to click on the image to download and print it for reference. When we did this exercise, we had worship music playing softly in the background and we didn’t rush the kids into finishing but we let them take their time. If any of them had any questions, we had them silently raise their hands and a staff member would help them. 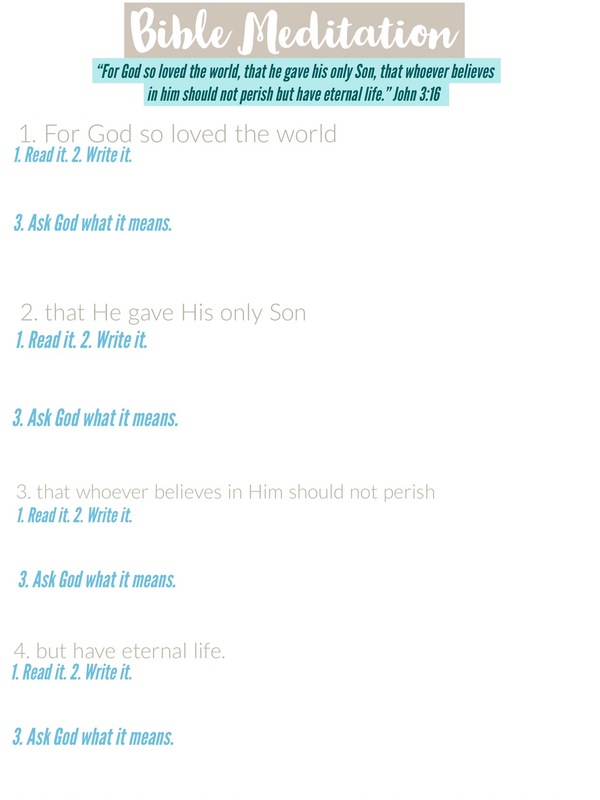 We loved seeing what the kids wrote in the “ask God what it means” section. 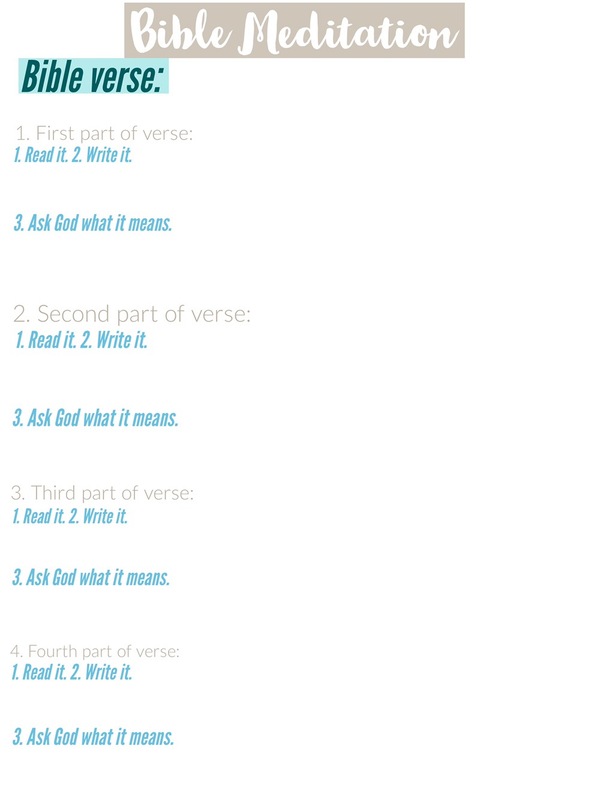 It’s also a great tool to open the kids up to discussion about God and the Bible. Let us know if you use our sheets and how it goes!